All over Melbourne’s growth areas, new railway stations are a commonly requested big ticket item. So how often does something get done about it? $220 million for new stations in growth areas including Williams Landing and Caroline Springs in the west, Cardinia Road and Lynbrook in the south-east, starting in 2010. Public Transport Minister Lynne Kosky said construction of the four new stations announced in the $38 billion Victorian Transport Plan would start next year. “Access to public transport services for communities in Melbourne’s growth areas will be dramatically improved with the construction of these four new stations at Lynbrook, Williams Landing, Cardinia Road and Caroline Springs. Minister for Public Transport, Martin Pakula, has unveiled designs for the new train station for Caroline Springs, marking an important milestone for the project. “The new station for Caroline Springs will be a functional and modern space, enhancing passenger safety and security with closed circuit camera security surveillance throughout the facility. “There will be bicycle facilities, a taxi rank and bus stops, making it easier for those who use different modes of travel to get to and from the station. Member for Kororoit Marlene Kairouz said that new V/Line station will be welcomed by the growing community as they will no longer have to travel to other stations to catch a train. “The new station for Caroline Springs will service a population that is expected to grow to nearly 25,000 within the next 10 years and also reduce congestion at neighbouring railway stations,” Ms Kairouz. The site selected was south of the actual suburb of Caroline Springs, being located where Christies Road met the railway, to the west of the Deer Park Bypass. New railway stations priced at $20 million each four years ago are now set to cost Victorian taxpayers $55 million each, according to Public Transport Minister Martin Pakula. Mr Pakula has admitted in a statement to Parliament that the average expected cost of stations the government promised in 2006 at Lynbrook, Williams Landing and Cardinia Road in Pakenham had almost tripled. The three stations, all to be built on existing lines, were initially priced at a total of $60 million, including costs over a decade, in a 2006 plan. By the time of the 2008 plan – state Labor’s fourth transport strategy in a decade – a fourth proposed station had been added at Caroline Springs, and the total estimated cost of building them all had ballooned to $220 million. Replying to a question in Parliament from opposition upper house MP Ed O’Donohue on the four stations, Mr Pakula sought to explain the massive price difference by saying the cost put forward in 2006 was “a high-level planning estimate”. “This figure was a high-level planning estimate and was limited to basic infrastructure costs for the construction of three stations,” Mr Pakula said. The 2006 plan mentioned in the article was titled ‘Meeting Our Transport Challenges’ and has since been shoved down the ‘Memory Hole’ – no longer appearing on the websites of the Department of Transport or Public Transport Victoria. Work on the new Caroline Springs railway station has begun, even though it’s not in the suburb it’s meant to serve. Public Transport Minister Martin Pakula was last week joined by Kororoit state Labor MP Marlene Kairouz to turn the first sod at the V/Line station, at the southern end of Christies Rd in Ravenhall. Mr Pakula said delivering a new train station near Caroline Springs was important in serving the local community, expected to grow to nearly 25,000 within 10 years. “The station, due to open in 2012, will serve current and future public transport needs and help people access jobs, study and also stay connected with family and friends,” he said. The new station will be on the Melton line between Rockbank and Deer Park stations, about 1km south of Caroline Springs. The State Government has so far received more than 200 entries for a competition to name the new station but has yet to announce a winner. By February 2011 work on the access road to the new station was well underway. 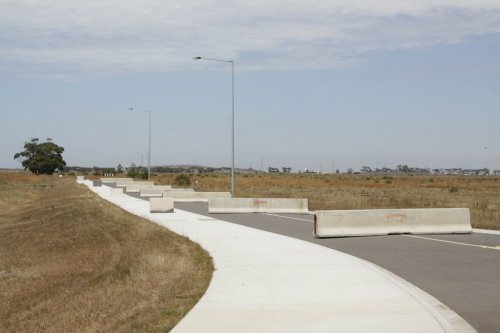 Melton shire mayor Justin Mammarella branded the connection to the Caroline Springs railway station a “road to nowhere”. “It is ironic that the current state government has commenced works on the road extension … but has placed the construction of the station on hold,” he said. Once the road was completed concrete traffic barriers were placed across it, presumably to stop local hoons from using it as a drag strip. When questioned late yesterday, the Baillieu government revealed there was no date for the construction of the station. Public Transport Minister Terry Mulder said “the previous Labor government failed to allow for sufficient new or upgraded electrical substations for new stations planned as part of its growth area railway station program”. Ms HENNESSY — Minister, I have a question about Caroline Springs station. When I go to budget paper 4, page 124, under ‘New stations in growth areas’ I see that funding for Caroline Springs station is pretty conspicuous in its absence, but it was not conspicuous in its absence on PTV’s rail plan, which effectively said it has already been built. What is the go? Mr MULDER — Okay; what is the go with Caroline Springs. There is a new station planned on the Ballarat line for Caroline Springs. The access road from Deer Park bypass to the station car park at the site has already been constructed. Land has been purchased and detailed design for the station has now been completed. The station is one of four stations that make up the New Stations in Growth Areas program, which also included Lynbrook, Cardinia Road and Williams Landing railway stations. Construction of two new substations has also been added to the scope of the program, because they were left out of the original scope of the program. I think we all understood what happened at Lynbrook and Cardinia Road—there was not enough power to pull trains away from the stations. Ms HENNESSY — Is there money in the budget to build Caroline Springs railway station, given that the PTV plan says it has already been built? Mr DOBBS — That is correct. When PTV came into operation we inherited a number of projects that had considerable claims from the contractors. We are now actually in the final stages of concluding those, and we are confident that that will actually leave funds within the budget. But we want to see first of all exactly what those funds are and see whether they can actually, if you like, satisfy the scope of the project as it is—which we have managed to reduce anyway, because we actually looked at the design and found more cost-effective ways of building the stations as well. Mr MULDER — Yes. I think it is important to understand that we have not stopped. Consultants have been appointed, all the design work has been completed and the project is basically ready to go to tender. We just want to get an understanding: do we have money within the budget for that allocation after we have worked through the cost overruns with the contractors? We have progressed that project. 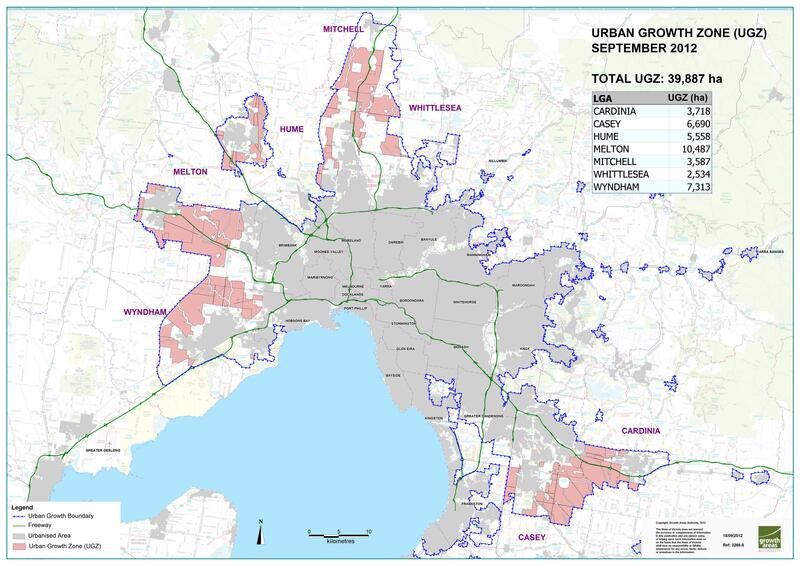 So in short, the government says the four stations in the Victorian Transport Plan’s “growth area program” had a $220 million bucket of cash to share, and because Lynbrook, Cardinia Road and Williams Landing stations spent most of it, the station at Caroline Springs has been put on hold. Still costed at $55 million, it looks like work on Caroline Springs station will start in late 2014. The reason given for the delay is the same one given previously – the current Liberal Government blaming the former Labor Government for cost blowouts in the growth areas stations program. V/Line have invited tenders for the construction of a new railway station at Caroline Springs – it closes on 22 January 2015. The government announced the BMD Construction had been awarded the contract to build the station, which now features a 350 space car park. At least with the recent changes to Ballarat line timetables following the opening of Regional Rail Link, when Caroline Springs station opens in 2016 it will get a train every half hour off peak! 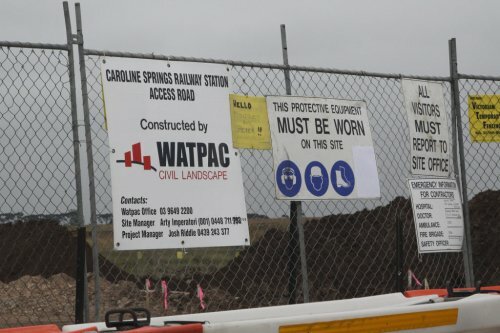 Laura-Jo Mellan (Melton Shire, Coordinator Strategic Planning) expressed concern that residents are calling Council as they think that Caroline Springs station is being built where works are occurring at Christies Road. Suggests a letterbox drop or other communication be undertaken. Deer Park-West Werribee Junction project team to clarify the purpose of Christies Road works to public. 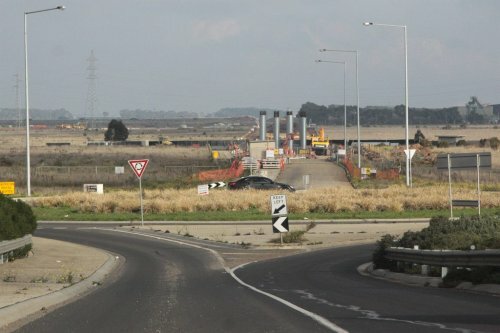 The aforementioned work confusing residents is the extension of the mothballed station access road over the existing Ballarat railway line – the bridge is required to serve the nearby Boral Quarry which will otherwise be isolated when the existing east-west roads are severed by the new Regional Rail Link tracks that will run north-south across them. The Christies Road extension opened on 16 April 2014. Would it not have been cheaper to build a bridge over the RRL, as it is not an operational railway yet? Given the extra cost of building something around an active railway line, it would have been cheaper to build a single bridge across a future railway. Two roads are severed due to the RRL tracks – Riding Boundary Road, and Middle Road – and the main traffic is trucks to/from the Boral quarries on the west side of the tracks. With the bridge now being built these trucks will no longer need to drive down Riding Boundary Road to Robinsons Road, and then past residential areas, instead being able to directly access the Western Freeway at the existing Christies Road interchange. Only the eastbound trucks from the Quarry (and their westbound trips to the quarry as well) will be able to use the ramps at Christies Rd. Westbound trucks from the quarry (and their eastbound trips to the quarry as well) will have to turn onto (and off) the Western Highway and use the entrance (and exit) just west of Christies Rd. Caroline Springs station (possible Ravenhall should have been built a decade or more ago). Great work Marcus. But the station is not within walking distance of the densely populated areas. I suppose development will occur around the station in time. Of course though, what station? A check of the http://www.land.vic.gov.au/ website suggests that there won’t be any residential development beside Caroline Springs station – it is zoned as a industrial area. The left side of the road is 1183-1199 Western Highway, Ravenhall: a mix of Industrial 3 Zone (IN3Z) and Urban Floodway Zone (UFZ). The triangle between the Deer Park Bypass and the railway is 6A Christies Road, Ravenhall: Industrial 3 Zone (IN3Z). It will obviously need good feeder buses. It will also need suburban trains to reach its patronage potential. It seems however to be on the never-never tied in with the Melbourne Metro at heavy cost – the old Victorian Transport Plan listed the estimate as $1 billion for the Melton line upgrade. I reckon you would be correct about Caroline Springs being the station that would get the least patronage out of the four proposed back in 2008. 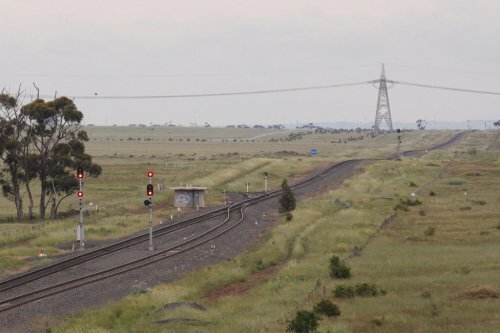 Electrification to Melton has been proposed for years, but a cheaper interim step would be to run shuttles with existing V/Line rolling stock – with the double track to Caroline Springs and existing crossing loops at Rockbank and Melton a 30 minute service should be possible. 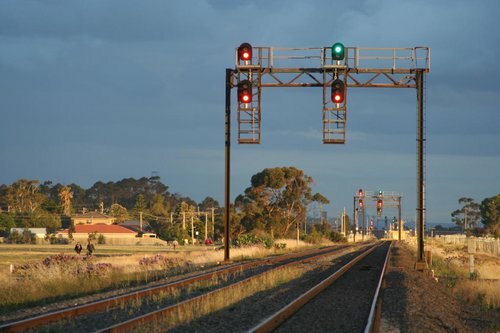 As part of the Rowville rail study, a plan for the future use of the rail system was released. If featured off-peak Melton services between the Ballarat services. The other unknown with a Melton electrification is what will happen with Bacchus Marsh since some current short services terminate there (albeit beyond suburban ticketing) – would it get a suburban service or a reduced V/Line service? It is likely that Bacchus Mrsh will not get a suburban service, even though it should. It may keep the services that start there though. You could possibly compare it to Kyneton which is the destination of a number of V/Line short workings during peak times – however those trains serve five stations beyond Sunbury, not a single one like Bacchus Marsh. Because of Dirty politics caroline springs is not getting a train station. Until govt changed there were planning to build it…but soon after govt changed they changed the plan. What a democratic system we have got?. I don’t really understand how come govt have money to support F1 racing, put a crap no needed MyKi whereas we already got good Metcard system etc…but do not have money to build a train station in much needed area. Also, Just to serve nearby Boral Quarry they are wasting lot of money but not for train…why?? Caroline Springs is not getting a train station??? Is it true? It will get a train station eventually ! !